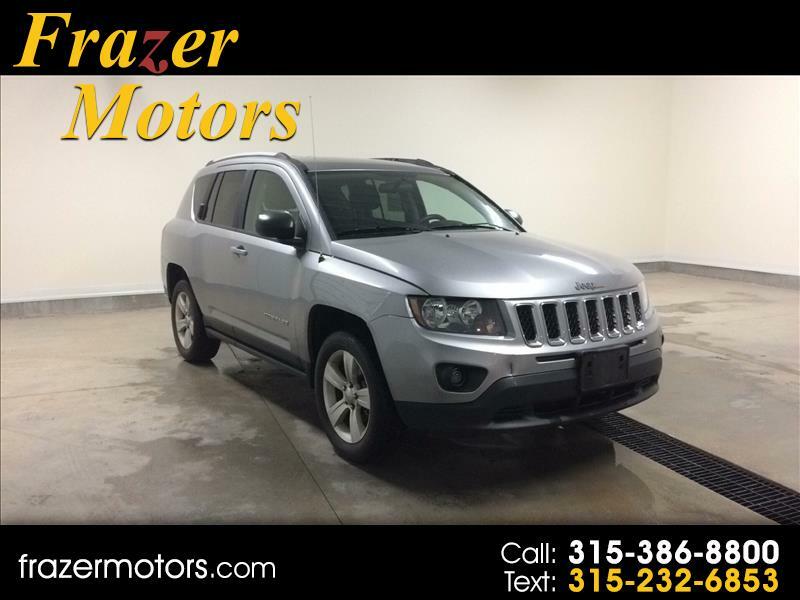 **2015 Jeep Compass Sport** FOUR WHEEL DRIVE. LUGGAGE/ROOF RACK. HEATED EXTERIOR MIRRORS. CRUISE CONTROL. Rated 3.8 out of 5 stars on Kelley Blue Book.com. The 2015 Jeep Compass Sport is known for its above-average off-road capability, optional flip-down tailgate speakers, and exceptional comfortability. Come on in and check it today! Here at Frazer Motors we're confident in the quality of our vehicles, which is why each one comes with a FREE 6 Month/6,000 Mile Warranty!